An enlarged interior view of a Rogowski coil—a Fluke iFlex® probe. 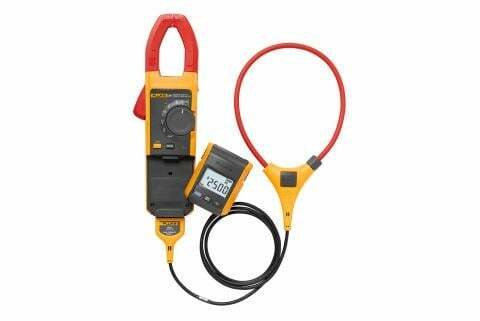 Flexible clamp meters are also known as Rogowski coils. Sometimes called air-cored coils or flexible current probes, Rogowski coils evolved from simple solenoids and were first used in 1912. Unlike current transformer and Hall Effect clamp meters, they have no iron core. Instead, they use a wound, helix-shaped coil which responds to the rate of change (known as the first derivative) of a conductor’s magnetic field around which they are placed. The faster the change in amplitude, the more voltage generated by the coil. An integrator circuit in the measurement device converts that output to a signal that is proportional to the signal in the conductor. Because Rogowski coils are not dependent on a rigid iron core, they can be made flexible and thus easier to fit into tight or cramped spaces. 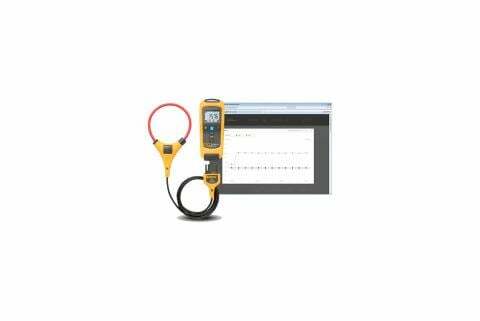 This is one of the most valued attributes of flexible clamp meters. The absence of a magnetic core permits a broad frequency response, up to hundreds of kHz, and virtually eliminates circuit loading and saturation concerns. 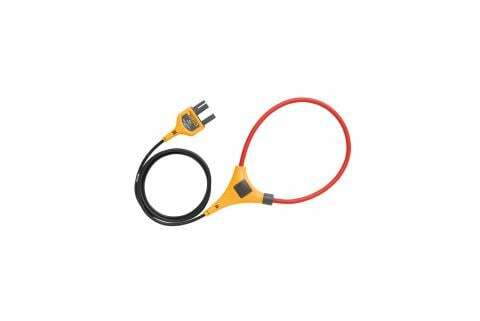 Some models, such as the Fluke i2500-18 iFlex® Flexible Current Probe, can measure up to 2500 A ac. In addition, Rogowski coils produce a safe low-voltage output that eliminates hazards associated with misalignment and open secondary windings. Since they inherently respond to the rate of change of a signal, Rogowski coils only work with ac current. 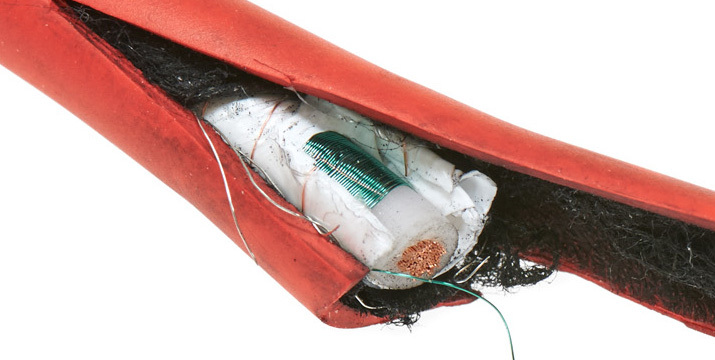 An insulating outer silicon sleeve (red). Its application is the final step in a flexible clamp’s construction. An isolating layer (black) of nylon material; it shields, or isolates, the coil’s fine inner wires during the molding process with the outer, insulating sleeve. A thin, aluminum-based separation layer (white). It separates a widely spaced outer copper wire from the inner, tightly coiled teal-colored wire. These are the coil’s transmit-receive wires. The tightly wound wire (teal) is considered the Rogowski wire. A solid copper core supported by flexible white tubing. The copper core connects to the Rogowski wire and boosts the coil’s resistance to external electrical interference.